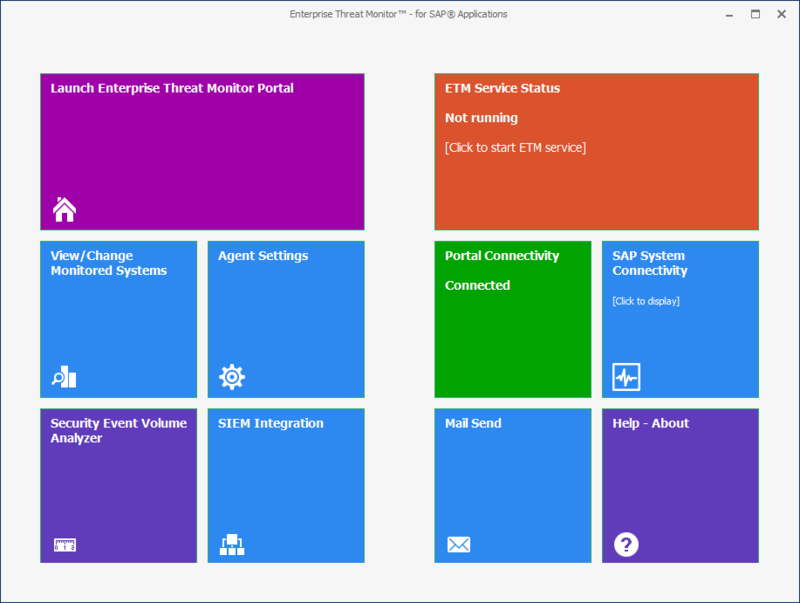 3 Steps to Real-time SAP Security Monitoring! Before we start: You need SAPGUI, .Net Framework 4.5 and at least 100 MB of disk space. After completing the download form, you’ll receive a link with your download location and license file. Click View/Change Monitored Systems and enter your username and password for the systems you want to monitor. Systems details are automatically retrieved from SAPGUI. You can click on the empty row and enter a custom application server, too. That’s all. As the data is pulled and analyzed, you’ll start seeing the results on this portal. After a couple of minutes you can click Threat Details link on the portal to view discovered issues. Please contact us via support@ESNC.de, if you need further assistance. Thank you for using Enterprise Threat Monitor.